Say NO to Auto on your manual dSLR camera with these photography tips for beginners. This spring marks 7 years since I began teaching photo tips online. It started with some basic blog posts, and people were hungry for more. 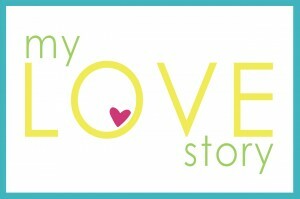 I was asked by Amy of The Idea Room to share on her site, and that is really how my site (as we know it now) began. After the initial tips I shared, I compiled them into an e-book and named it, Say NO to Auto. I wanted to share the tips to shoot in manual in the simplest form, and after a few months and begging from some, I made printed copies available, which I ship out myself. AND I’M HAVING A FLASH SALE FOR MY PRINTED BOOKS RIGHT NOW! 8 years ago, there weren’t a whole lot of beginner photography tips online. It was really fun to share, and get positive feedback that my methods were being understood by others. I knew all too well what it felt like to try and figure out how to use the fancy dSLR manual camera and not “get it”. I had done the same thing back when I bought my first nice camera. In 2010, I’d had my photography business for 6 years and KristenDukePhotography.com was all about that. It quickly morphed into a BLOGsite, a phrase my big brother often still teases me about. 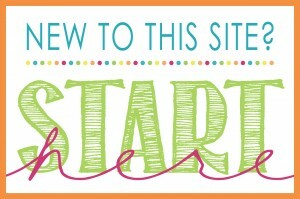 A blogsite is that which is both static (website) for my business and constantly updating as a blog. 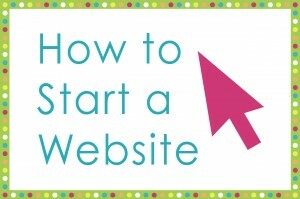 I now just prefer to call it a website, as opposed to a blog or even a blogsite. It’s where it all began for me, engaging in the online community, and I’ve embraced it and loved being a part of it. Do you have a fancy camera that you don’t know how to use? Are you frustrated that you spent so much money on your camera, and only know how to shoot on the automatic settings? Say NO to Auto has helped nearly 10,000 beginner-intermediate levels learn to shoot in manual settings with 3 basic steps. If you don’t understand the difference between ISO, Aperture, and Shutter Speed and why they are important, you will know after flipping through this simple 24 page book filled with lots of color examples with camera settings underneath each image. Too many pages is too overwhelming. This book is short and simple and to the point basic. It’s the perfect size to fit nicely in your camera bag to take out on excursions when you need it. Kristen shares the order in which she selects her settings, and simple tricks to remember each time you pull out your camera. Take beautiful pictures of your children, and fall in love with photography at the same time with the “a-ha” moments found in Say NO to Auto. 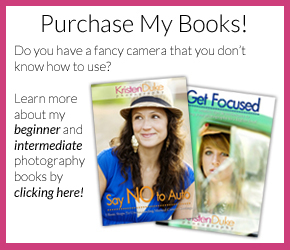 >>>>>>>Ready to grab the books with Photography Tips for Beginners? >>>>>> go here. I LOVE this book. I had them printed and keep it in my camera bag or my purse at all times. This has helped me more than a class I took elsewhere last month! I have read a number of photography books over the last couple months trying to learn how to shoot in manual mode, but I have to say that the simplicity and straightforwardness of Say No to Auto has really had one of the biggest impacts improving my photography. I learn by example and the images you use in the book (breaking down the photo by setting) have helped me SO much. I’m excited to see what the revised copy includes! Thanks so much! Thank you for providing such simple and clear instructions on how to take the plunge and take my camera off auto! This e-book makes it seem so easy!! It is so easy to become overwhelmed by all that other photography books and my manual have to offer. This book is a wonderful breakdown of the most important things to think about when taking pictures in manual mode, without totally overwhelming me and I have learned so much about my camera. I now keep it in my camera bag so that I can refer to it often. Plain and simple for me- it got me off auto when other books were too complicated ! Concrete examples are awesome ! I currently carry it in my camera bag, and am very thankful I found this resource ! !